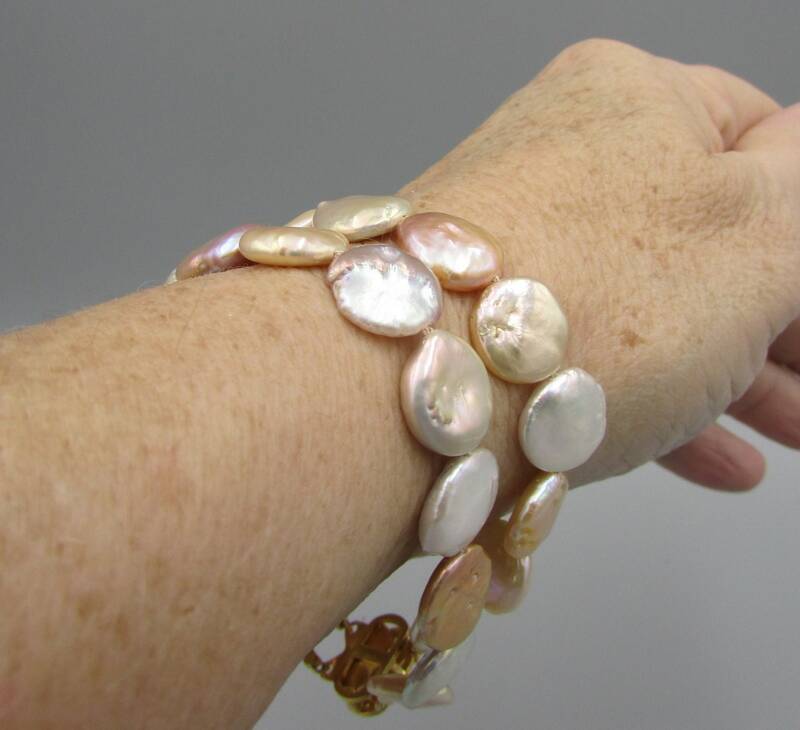 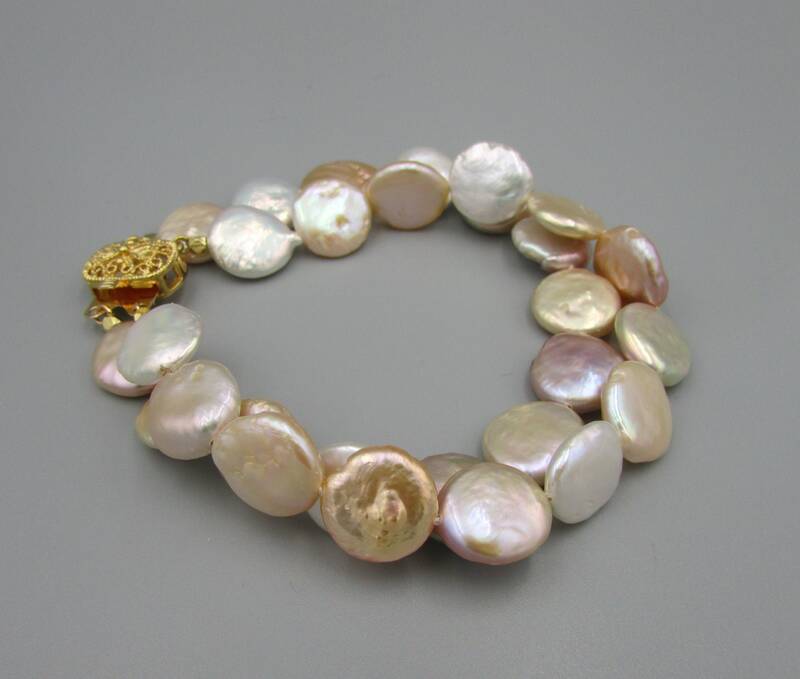 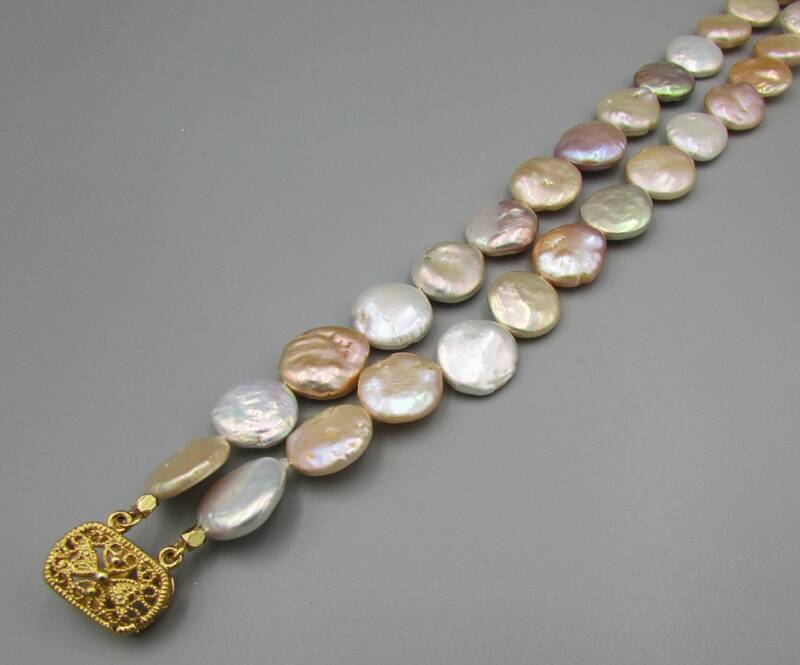 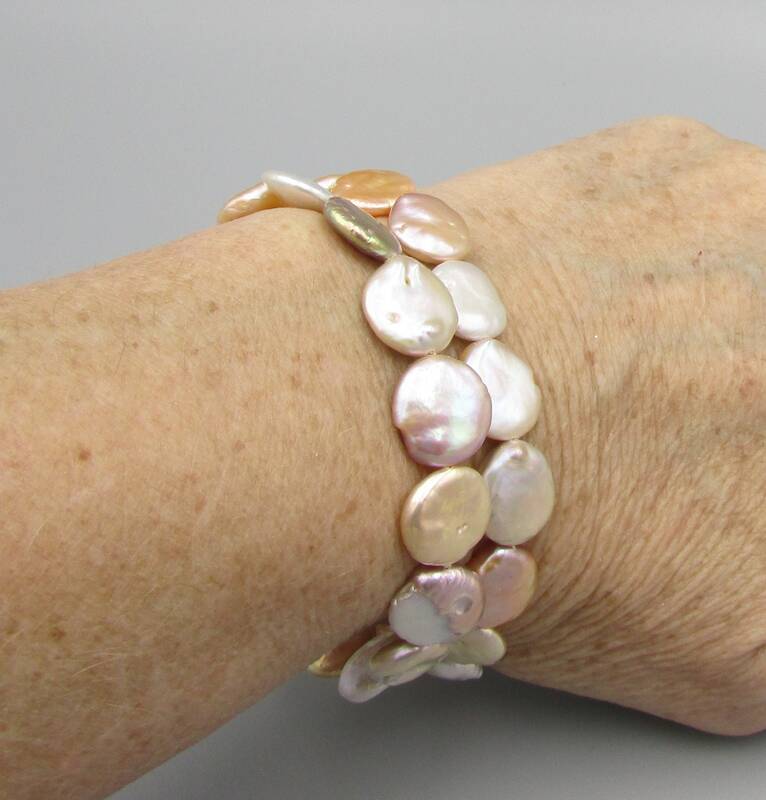 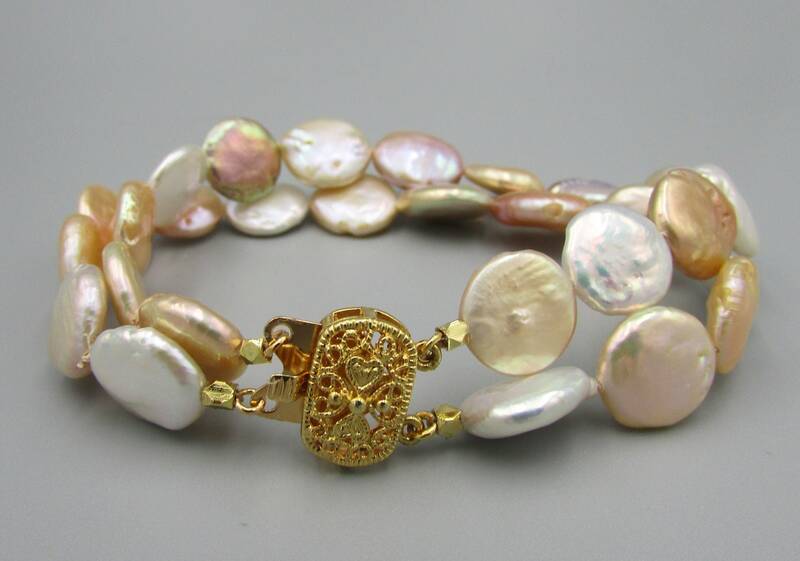 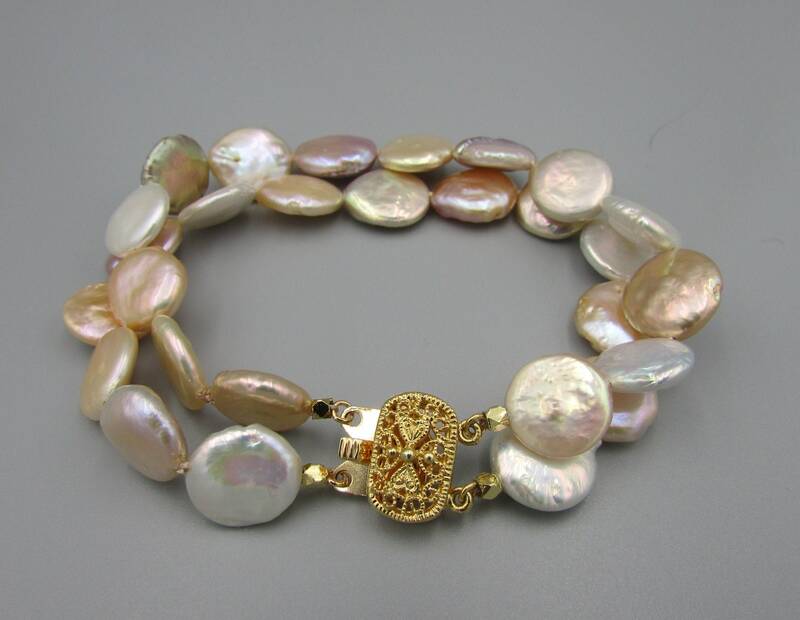 Beautiful multi strand coin pearl bracelet created with 11mm to 12mm coin shape freshwater pearls in lovely natural colors of light bronze, pink, and white. 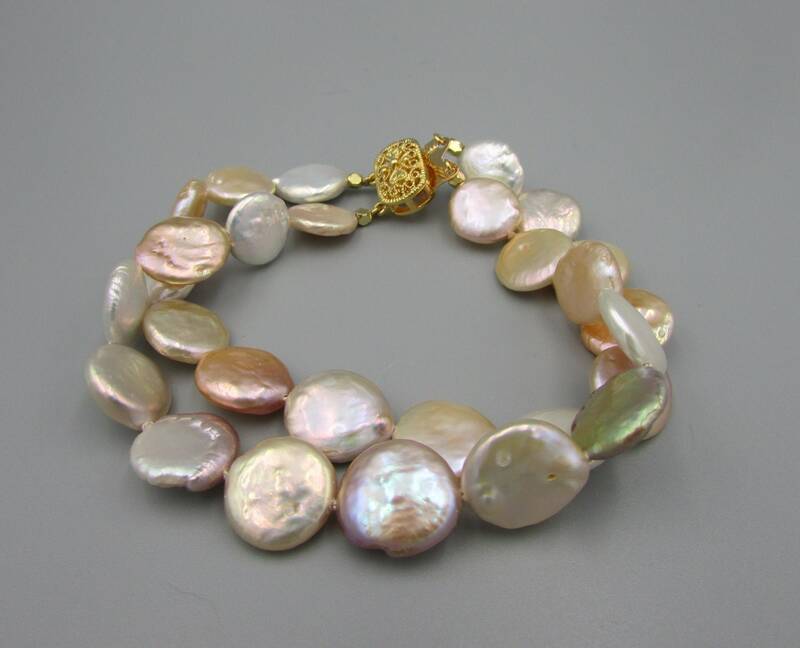 Hand knotted on silk thread to add beauty. 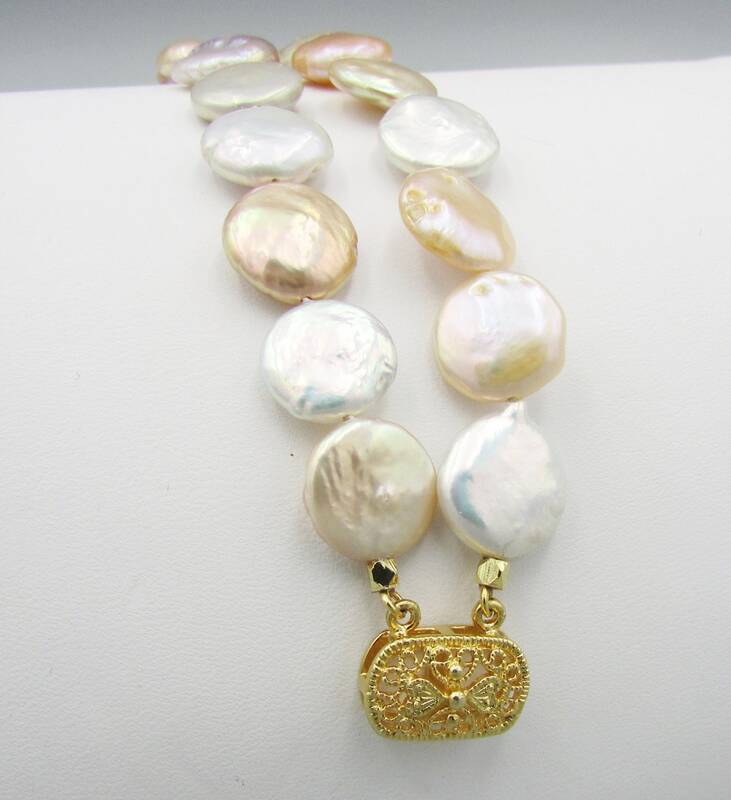 A gold filigree box clasp is the perfect accent. 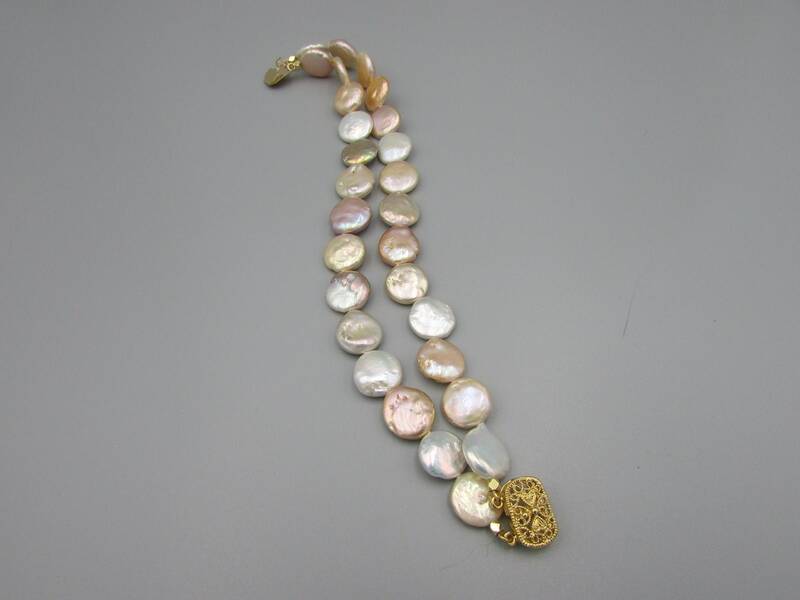 Length is 7 1/2 inches long.